Freestyle, no-plan-plan weekends can be some of the best in NYC, and we’re coming up on one at this very moment. Between last week’s holiday obligations, and next week’s Cinco de Derby one-two punch of unending fun, you’ve got 48-hours and change to eschew social expectations and seize your own destiny. But you still need to find some stuff to do. Take your pick from a lineup of comedy shows, film screenings, food festivals, cherry blossom celebrations, margarita fetes, and outdoor extravaganzas. Here is everything you must do in NYC this weekend. It may be news to you that April 26 is National Pretzel Day. Not exactly a Federal Holiday, but a cause for celebration nonetheless. Pretzels come in all shapes, sizes, and textures, and it’s about time we appreciate them all. Loreley Beer Garden will serve up a variety, including soft baked German pretzels, New York-style pretzels, giant Bavarian pretzels, and burgers, sandwiches, and sausages on pretzel buns. Dip ‘em in a rainbow of sauces and wash it all down with craft beer and seasonal cocktails. A new variety show from the UCB’s Lani Harms spotlights women and LGBTQ comedians and scientists. Cosmos & The Cosmos: A Girly Science Show combines sketches, stand-up, and interviews to make you lol while you learn. This week’s premier features performances by comedians Sophie Santos and Chloe Radcliffe, and a science chat with astrophysicist Summer Ash. Preview some of the year’s buzziest films at the first weekend of the famed film festival. Friday night, see All I Can Say, an intimate look at Blind Melon frontman Shannon Hoon, Saturday, see Zoey Deutch grapple with debt in the comedy Buffaloed, and Sunday, see Margot Robbie play a Depression-era bank robber in Dreamland. See some of the best fledgling talent from the world of literature, visual, and performing arts at YoungArts New York. Aspiring writers, photographers, designers, dancers, and musicians workshop with the pros before sharing the fruits of their labor with an audience. Three weekend events are open to the public: Friday’s Design, Photography & Visual Arts Exhibition, Saturday’s Dance, Jazz, Theater & Voice Performance (waitlist only), and Sunday’s Classical Music Concert & Writers’ Readings. Stuff yourself to the brim on Saturday afternoon at Bunker Vietnamese Restaurant's #SpringPhoward pig roast event. 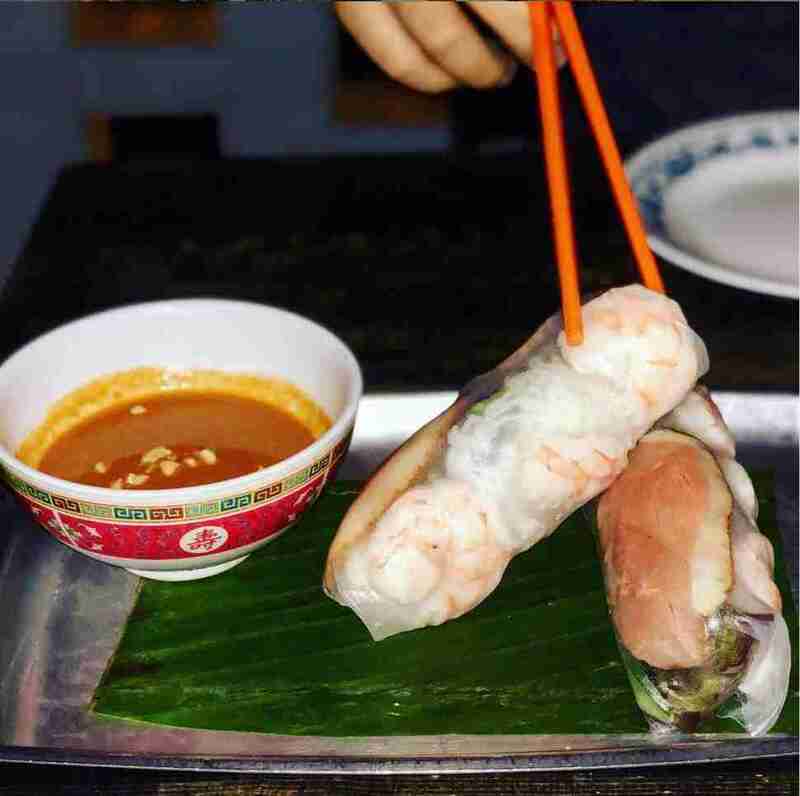 Your $40 ticket includes a summer roll (prawn and pork or vegan varieties), slices of heritage berkshire pig or mushroom/cauliflower skewers, cabbage, rice, and bok choy sides, coconut tapioca pudding with fruit, and one beer or cocktail. Netflix’s upcoming documentary Knock Down the House illustrates how Rep. Alexandria Ocasio-Cortez and three other progressive women unseated incumbents in the 2018 primary elections. See it a few days before its release on AOC’s turf at Queens’ Windmuller Park. Stick around for a Q&A with the film’s director after the screening. Tequila is the most fun of all spirits, and its perfect vehicle is the margarita. Cinco de Mayo is still a week away, but Margarita-forward fests abound this weekend. 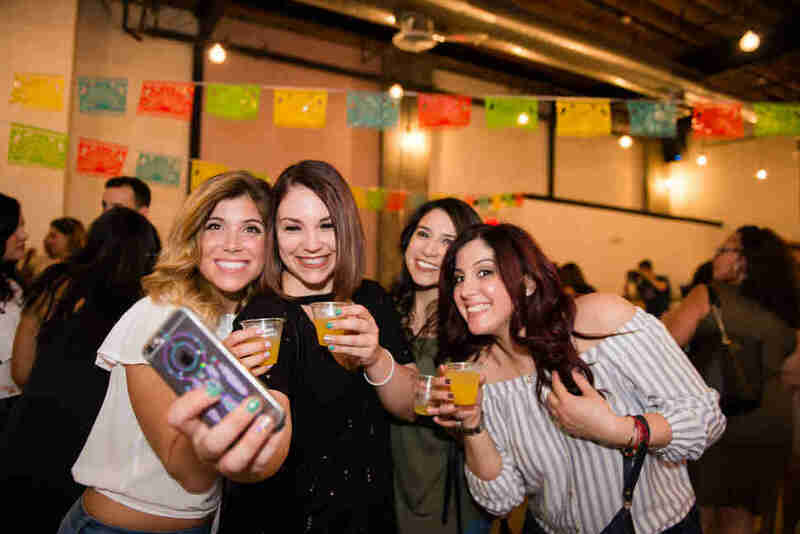 Head to the Margarita Rumble in Greenpoint on Saturday to sample and vote on the best in town. Meet at Wicked Willy’s in Greenwich Village on Saturday or Sunday for the Margarita March. Your bar crawl ticket includes eight margaritas. Go slow. Pig Beach turns aquatic this weekend for its second annual Crawfish Boil, where $45 can satiate even the hungriest pescetarians. Brooklyn’s popular barbecue rendezvous teamed up with BBQ Ninja to prepare Mississippi crawfish the right way -- with beer, veggies, and a secret-recipe seasoning. Between noon and 4pm on Saturday or Sunday, get your money’s worth and devour a pound of crawfish, potatoes, corn, and two drinks of your choosing. 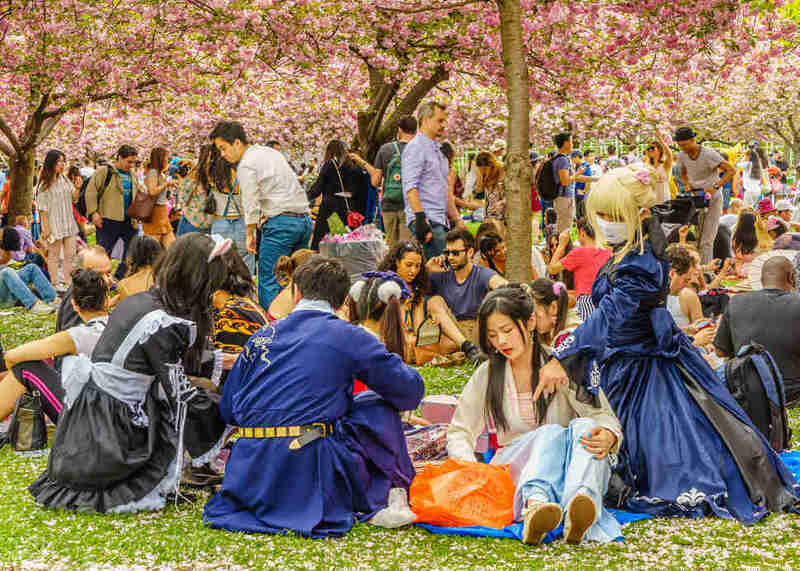 Rise and shine for Sakura Matsuri -- the Brooklyn Botanic Garden’s annual spring soirée and weekend of cherry blossom appreciation. 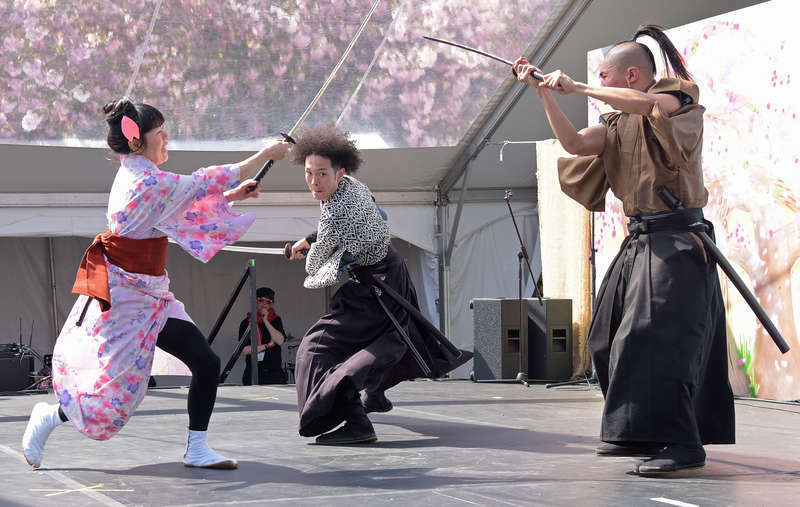 Taiko drummers, martial arts masters, and live bands will grace the stage; origami and bonsai experts will demonstrate their skills; and vendors will offer Raaka chocolate, hand-crafted Kokeshi Dolls, and vintage kimonos. The Prospect Park Audubon Center’s Earth Day Celebration is all about protecting the park’s native species -- chipmunks, raccoons, bats, bullfrogs, and all manner of creepy-crawlies. Go (catch-and-release) fishing with the DEC Bureau of Fisheries, meet Pepper the diamondback terrapin on an insect discovery hike, bird-watch on a walk, and help clean up the lakeside. This isn’t your average concert -- it’s a poetry concert. And it’s headlined by celebrated storytellers Caroline Rothstein and Mike Rosen to benefit the JED Foundation, a mental health support agency for teens and young adults. So feel good that you’re trading headbanging and claps for nodding and snaps at this weekend-ending event. Doors open at 6pm, show begins at 7. FYI: We’ve also got you covered with comprehensive guides to LA, SF, Miami, DC, Austin, Boston, Denver, Dallas, Atlanta, Phoenix, and San Diego -- just in case you’re ever out of town. Catch Alex and Kyler eating and drinking more than they should this weekend.